THE RACE, that stops a nation, yep MELBOURNE CUP... i quite like DAFFODIL i think i will go all out this year and put $2 each way.. It's just a copy of the Sydney one, isn't it? you gotta get out more mate.. Friend of friend had a dream...number 23.
but you've put money on the gee-gee... the odds ? his chances... ? No money on it, dunno how to from here. wish i could as the person who dreamnt it has picked 6 out of the last 7 winners...all from dream the night before. i'll put a $50 on him. win only - each way bets are for losers. BOOKIES are out in front early on Melbourne Cup day as outsiders clean up, and late money for Alcopop priced it equal favourite. About 100,000 racegoers are filling up the Flemington Racecourse as Aussies ready their final Melbourne Cup betting plunge. Bookies say there is growing support for the South Australian gelding Alcopop to win the Melbourne Cup, although many regular punters remain committed to the Bart Cummings-trained Viewed. A string of wins by outsiders has done little to dampen spirits. And despite the ominous signs Cummings remains the sentimental favourite to win his 13th Melbourne Cup, with last year's winner Viewed. Alcopop and Viewed are now equal favourites with Betstar with - both given $5 odds. Betstar's chief Alan Eskander said the punters were only interested in three horses - the favourites Viewed and Alcopop and the New Zealand mare Daffodil. "The trend started yesterday at the Call Of The Card when they singled out that trio and it's continued today,'' Eskander said. "They keep coming for Daffodil. She was $17 before the Call Of The Card and is now $11.00. 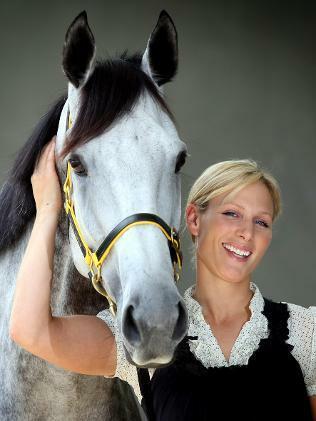 She's been backed to win $1.2 million dollars,'' Eskander said from his stand at Flemington. Elsewhere, Alcopop is in to $5 ahead of Viewed at $5.50 with several agencies, while Viewed has shortened to as little as $4.60 favourite from $4.80 at the start of the day. Cummings also has $8 chance Roman Emperor and Allez Wonder ($26) in the Cup. The day began with the controversial scratching of the David Hayes-trained Changingoftheguard after three vets ruled the horse unfit. Hayes was furious at the decision, clashing with stewards who refused to back away from the decision. The mood is generally better at the track with the sun is shining on the large throng as Flemington racecourse gets into full swing. Off the track, the booze is flowing freely as the crowd enjoys the carnival atmosphere (more pictures). Yellowglen champagne at $35 a plastic bottle, vodka mixes and $6.80 cans of beer are keeping the crowd lubricated. Wind gusts have caused some problems for punters wearing hats, while racegoers dressed in costume include a zebra and several cowboys. Amid predictions of cold and windy weather, women earlier hastily flung jackets, blazers and shawls over strappy frocks, while men in snappy suits are no doubt breathing a sigh of relief at the cooler temperatures. But the coats could be later flung aside, with clear blue skies promising a warmer day. Weather bureau forecaster Rod Dixon this morning it was still worth bringing an umbrella “just in case” there was a light shower or two today, but it was expected to be mostly fine. Despite predictions of a return to demure dress styles for the ladies, there are still a few thigh-skimming hemlines to be seen on those young enough to wear them. Black and white ensembles are still the safe bet, but splashes of watermelon dotting the racegoing crowd prove the pinky hue is this season's most popular colour choice for dresses and fascinators. Flemington's stands are nearly full and tents are being pitched in the car park, with champagne picnic breakfasts laid out. For some it was never to early to start the day's drinking. One couple outside the racecourse gates swill wine unglamorously straight from a bottle concealed in a paper bag. There was heavy traffic around the course, but most punters are travelling by train. So far, all trains are running well, after last year's Oaks Day disaster which left thousands stranded after power to the main racecourse railway station shut down just as it was needed the most. Victoria Racing Club spokesman Marcus Williams said a crowd of up to 100,000 punters was expected, but told the Moonee Valley Leader this morning that tickets were still available. “Cup Day was never expected to be a sell-out,” he said. He stressed that for latecomers, tickets could not be purchased at the gate, but can be bought at North Melbourne, Southern Cross and Flinders St stations. General admission is $65. It is expected the race will draw a massive betting plunge today, with punters shelling out $88 million last year with the TAB in Victoria and NSW alone. 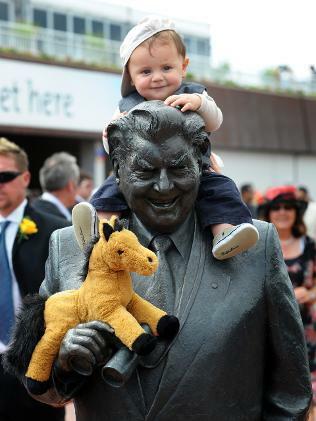 The Melbourne Cup carnival will see gamblers bet much more. In 2008, a whopping $171.1 million was bet on Cup Day in NSW and Victoria with a grateful Tabcorp, not including the busy bookmakers at the track. Melbourne streets are quiet for the Cup holiday, apart from punters headed to morning functions in their racing finery. Taxis are gearing up for a huge day and operators of the city’s trains and trams are under pressure to avoid any problems. Melbourne’s plastic surgeons have reportedly been busy in recent days as women – and a few men – go under the needle to look their best. Following overnight showers, the weather has cleared and forecasters say blue skies can be expected for much of the day. A top of 20C is tipped. Weather bureau senior forecaster Scott Williams said there had only been a small amount of rain at about 5am today and it would dry out quickly. "It will not affect the racetrack, and there won't be much for the remainder of the day at Flemington,'' he said. "There will be a cool blustery west to south-west breeze throughout the day. "It will average 35-40km/h gusting to 60km/h. The eldest granddaughter of Queen Elizabeth II, 28-year-old Zara Phillips will attend the event and present the winning jockey with a trophy. Ms Phillips is a world champion equestrian competitor. AFTER a one-hour stand-off between trainer David Hayes and a panel of vets, stewards have scratched Changingoftheguard from today's $5.5 million Melbourne Cup. Racing Victoria chief vet Paul O'Callaghan inspected the imported stayer on Monday afternoon at Hayes' stables and was concerned with the horse's action at a trot. O'Callaghan deemed a further inspection necessary this morning. The panel of three vets began their inspection of Changingoftheguard at 6.30am out in the centre of Flemington. A difference of opinion was quickly evident between the two factions. Hayes said it was evident to him that the horse was not lame, but O'Callaghan and his colleagues were adamant Changingoftheguard was lame in the near foreleg. Animated and upset, Hayes told O'Callaghan he might as well scratch all his runners for the day. ''The horse has done an extended trot, turned left and right. I'll be amazed if he is scratched,'' Hayes said. The saga then moved to Hayes' on-track stables, where Changingoftheguard was examined and tested further behind closed gates. Hayes even produced another horse, one can only suggest to compare actions. As Hayes and his stable vet disputed the opinions that the four-year-old was lame and emotions ran high, chief steward Terry Bailey arrived shortly before the 7.30am scratching deadline. He said the horse had improved since yesterday, but not enough. ''Mr Hayes is upset. It's a high stakes race, but we've got three vets here, three very experienced vets that say the horse is lame in the near fore,'' Bailey said. ''It has improved since yesterday, but (they are) not satisfied that it's fit enough to run 'two mile'. ''Clearly it was a hard call because it is minor, but minor enough to recommend that the horse not run,'' he said. Bailey said the issue had only come to light in the last 48 hours and was separate to the hoof abscess on a hind hoof that briefly interrupted the campaign about 10 days ago. The imported galloper, who was recently transferred to the Hayes stable, was a $21 chance in Cup betting. nice looking horse though, at $21 we could have each won 35,000 baht. OI! next year, I'll be remembering that his stoopid dream cost me $50! How can you put $50 on a scratching ? ?